The following terminology applies to these Terms and Conditions, Privacy Policies and Disclaimer Notice and any or all Agreements: "Client", "You" and "Your" refers to you, the person accessing this website and accepting the Company's terms and conditions. "The Company", "Ourselves", "We" and "Us", refers to our Company. "Party", "Parties", or "Us", refers to both the Client and ourselves, or either the Client or ourselves. All terms refer to the offer, acceptance and consideration of payment necessary to undertake the process of our assistance to the Client in the most appropriate manner, whether by formal meetings of a fixed duration, or any other means, for the express purpose of meeting the Client's needs in respect of provision of the Company's stated services/products, in accordance with and subject to, prevailing English Law. Any use of the above terminology or other words in the singular, plural, capitalization and/or he/she or they, are taken as interchangeable and therefore as referring to same. We are registered under the Data Protection Act 1998 and as such, any information concerning the Client and their respective Client Records may be passed to third parties. However, Client records are regarded as confidential and therefore will not be divulged to any third party, unless it is legally required to do so to the appropriate authorities. Clients have the right to request sight of, and copies of any and all Client Records we keep, on the proviso that we are given reasonable notice of such a request. Clients are requested to retain copies of any literature issued in relation to the provision of our services. Where appropriate, we shall issue Client's with appropriate written information, handouts or copies of records as part of an agreed contract, for the benefit of both parties. All the content generated in our platform by our Clients will keep its own copyright and authorship. This website will not own anyway or maintain liability for any content uploaded or published. Each Client is aware that using copyrighted content from other parties, and publishing them here as their own, will result as an inappropriate use of copyrighted material and will make them liable for any legal action, without involving this website in any liability. User's creations, such as serial stories, are subject to their own terms as explained on the service's website. When creating a story, its author is certifying that all content and information on it describes exactly what the content is about and when it will be updated. Each author must rate accurately the age rating of each of their stories, to prevent a group of users accessing content not allowed for their age. Any misinformation on the "information" section of the story will be subject to a warning. Also, while certifying that the "update frequency" of any story with any specific day or interval, the Client is committed to doing so. Not fulfilling these obligations or ignoring any warning, will result in the unpublishing of the respective story without prior notice, or may even cause an account cancellation. This website reserves the right to close any account or unpublish any story that considers its content is inappropriate, even though its owner will still have access to download his/her content at any time. All inappropriate and/or explicit content can and will be removed from the website and app without prior notice. Authors are advised to follow a norm of respect and ethics while uploading content appropriate for this kind of services, as stated in our Community Guidelines. In the same way, stories that receive a significant amount of "Content reports" can be subject to being removed from our website and app, or be unpublished with a warning. Content that is identified as "dummy texts" or "test content", such as "test of service", repeated words, abuse of characters and/or language in a way that is not complying with the purpose of our "storytelling" service, will also be unpublished from our website and app. Authors must be aware that readers will expect a quality story from each author with stories published within our service, so Inkspired also reserves the right to unpublish any content that does not guarantee this quality in its content. For more information and details about this, please refer to the "Community Guidelines" statement below. All users must follow all the guidelines written in our Community Guidelines at all times. It applies to writing content, publishing content, and interacting with members. These rules are enforced by our administrators, and any breach may result in account blocks or bans. Unless otherwise stated, the services featured on this website is available worldwide. 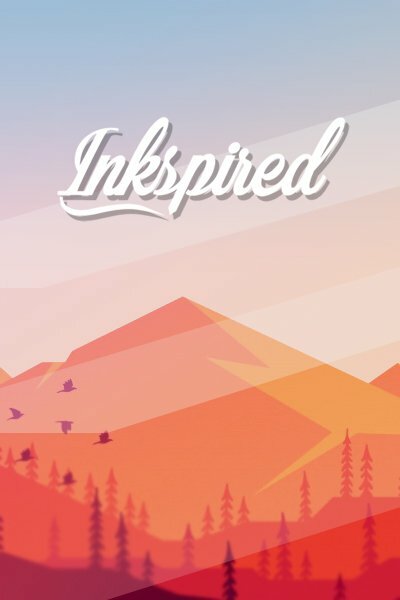 All users that sign up on the Inkspired service, agreed to be contacted by us via e-mail with notifications, product news, announcements, marketing offers, or any other kind of content that Inkspired deems appropriate to communicate to its users, always on behalf of an official Inkspired e-mail account. You can opt-out of receiving these communications at all times by going to your Settings, under the Notifications tab. The company reserves the right to distribute the content allocated on the platform in different other digital platforms, social networks, blogs and/or websites, always showing the respective author of each piece of content, in order to maximize the impact of the content, and expand its exposure, views and findability in benefit of the brand and the author. Copyright and other relevant intellectual property rights exist on all text relating to the Company's services and the full content of this website. This Company's logo is a registered trademark of this Company in the United States and other countries. The brand names and specific services of this Company featured on this web site are trademarked. - excludes all liability for damages arising out of or in connection with your use of this website. This includes, without limitation, direct loss, loss of business or profits (whether or not the loss of such profits was foreseeable, arose in the normal course of things or you have advised this Company of the possibility of such potential loss), damage caused to your computer, computer software, systems and programs and the data thereon or any other direct or indirect, consequential and incidental damages. This Company does not, however, exclude liability for death or personal injury caused by its negligence. The above exclusions and limitations apply only to the extent permitted by law. None of your statutory rights as a consumer are affected. The laws of United States govern these terms and conditions. By accessing this website and using our services you consent to these terms and conditions and to the exclusive jurisdiction of the United States courts in all disputes arising out of such access. If any of these terms are deemed invalid or unenforceable for any reason (including, but not limited to the exclusions and limitations set out above), then the invalid or unenforceable provision will be severed from these terms and the remaining terms will continue to apply. Failure of the Company to enforce any of the provisions set out in these Terms and Conditions and any Agreement, or failure to exercise any option to terminate, shall not be construed as waiver of such provisions and shall not affect the validity of these Terms and Conditions or of any Agreement or any part thereof, or the right thereafter to enforce each and every provision. These Terms and Conditions shall not be amended, modified, varied or supplemented except in writing and signed by duly authorized representatives of the Company.